Recently we have had the opportunity to be involved in helping start a new class for young adults at our church. After talking and praying together we dubbed our class the Next Step and it came out of a need for a place for young adults (single or not) who are at their next step in life -whether that be grad school, a new career, a new move, etc. It really has all been God's perfect timing and we have been so excited to be a part of this awesome class with some amazing people. As our class has started to come together we have decided that we would love to do some just girls nights every now and again -I mean, who doesn't love a good girls night? So our first one came together as a Christmas Ornament Party. 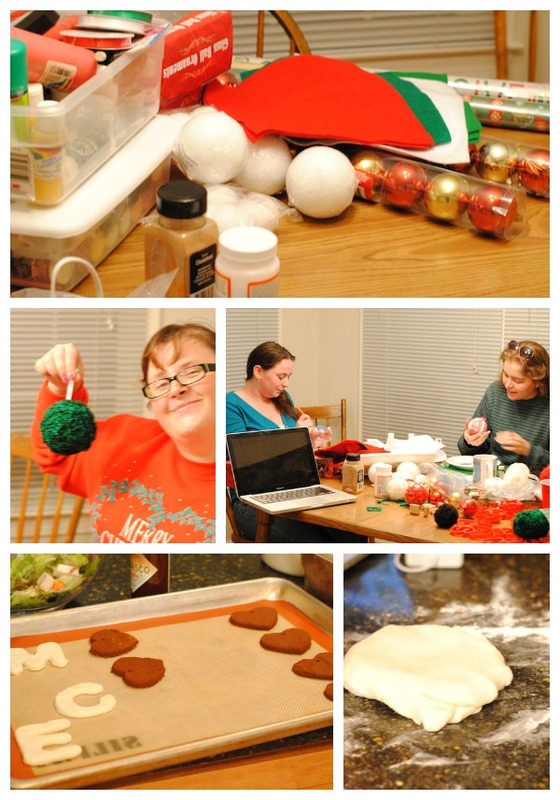 We spent the night eating, talking, laughing and of course being crafty and making ornaments together. We had a wonderful host (hey Melissa!) who put everything together for us - she cooked, she gathered supplies, she organized - I was so thankful for her! 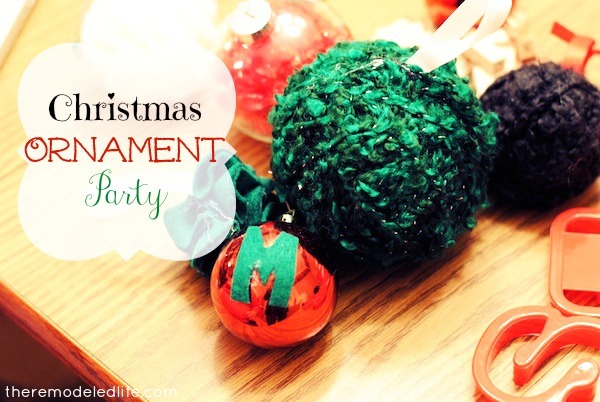 We made ornaments from yarn, cinnamon applesauce ornaments, salt dough ornaments, painted ornaments - I even crushed a glass ornament with my bare hand. Sometimes I just don't know my own strength - one day remind me to tell you the butter knife story. Pretty much it involved me, a butter knife and six stitches. As much fun as making ornaments was, the best part of the night was just getting to be together with a great group of ladies. So any of you have any christmas parties or get togethers coming up? My sister, cousin and I have a cookie baking date set and our small group has a cookie exchange planned. So many fun things going on, I'd love to hear what you have planned!